It's still too early stage of the Regular Season in Liga Metropolitana, but even now we can clearly see the differece between stronger teams and outsiders. Coincidentally all hosts won their games. Here is the last round review presented by ESL. The game had a very big importance for second-ranked USAC as it allowed them to take a leadership position. USAC smashed bottom-ranked URL in Guatemala 71-30. USAC held URL to an opponent 18.4 percent shooting from the field compared to 41.2 percent accuracy of the winners. They outrebounded URL 44-25 including 29 on the defensive glass. The best player for the winners was Erick Palma (-80) who scored 23 points and 7 rebounds. Forward Victor Sosa (190-88) chipped in 11 points and 9 rebounds. 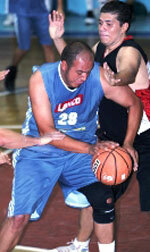 Guard Luis Menendez (179-95) produced 8 points and 6 rebounds for the guests. The winner was already known earlier in the game, so both coaches allowed to play the bench players saving starting five for next games. USAC have a solid series of three victories in a row. As mentioned above they are alone now at the top position. URL at the other side still closes the standings with three games lost. Both teams do not play next round, which will be an opportunity for some rest. Pampichi can celebrate their first win this season after two consecutive losses. They used home court advantage to defeat GMS (1-2) 86-73. Naturalized American power forward Freddy Fernandez (197-92) orchestrated the victory with a double-double by scoring 24 points, 12 rebounds and 6 assists. David Goddard contributed with 29 points and 7 steals for the winners. 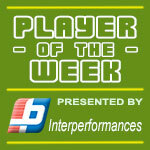 point guard Anthony Guerra (178-97) answered with 26 points and 7 rebounds for GMS. GMS's coach rotated ten players in this game, but that didn't help. Pampichi left bottom position moving up to sixth place, which they share with defeated GMS. Both teams do not play next round, which will be an opportunity for some rest. The game had a very big importance for second-ranked USAC as it allowed them to take a leadership position. USAC smashed bottom-ranked URL in Guatemala 71-30. USAC held URL to an opponent 18.4 percent shooting from the field compared to 41.2 percent accuracy of the winners. They outrebounded URL 44-25 including 29 on the defensive glass. The best player for the winners was Erick Palma (-80) who scored 23 points and 7 rebounds. 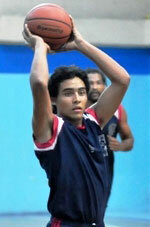 Forward Victor Sosa (190-88) chipped in 11 points and 9 rebounds. Guard Luis Menendez (179-95) produced 8 points and 6 rebounds and Rudy Morales (-99) added 8 points respectively for the guests. The winner was already known earlier in the game, so both coaches allowed to play the bench players saving starting five for next games. USAC have a solid series of three victories in a row. As mentioned above they are alone now at the top position. URL at the other side still closes the standings with three games lost. Both teams do not play next round, which will be an opportunity for some rest. Pampichi can celebrate their first win this season after two consecutive losses. They used home court advantage to defeat GMS (1-2) 86-73. Naturalized American power forward Freddy Fernandez (197-92) orchestrated the victory with a double-double by scoring 24 points, 12 rebounds and 6 assists. Naturalized American guard David Goddard (185-89) contributed with 29 points and 7 steals for the winners. Point guard Anthony Guerra (178-97) answered with 26 points and 7 rebounds and forward Alejandro Carrillo (192-88) added 15 points in the effort for GMS. GMS's coach rotated ten players in this game, but that didn't help. Pampichi left bottom position moving up to sixth place, which they share with defeated GMS. Both teams do not play next round, which will be an opportunity for some rest.